A new service has shown up online geared entirely towards license plates - or rather, the cars & drivers to whom they belong. The basic premise is that people ought to be able to connect with fellow drivers/human beings through something unique & universally understood: the license plate on our car. 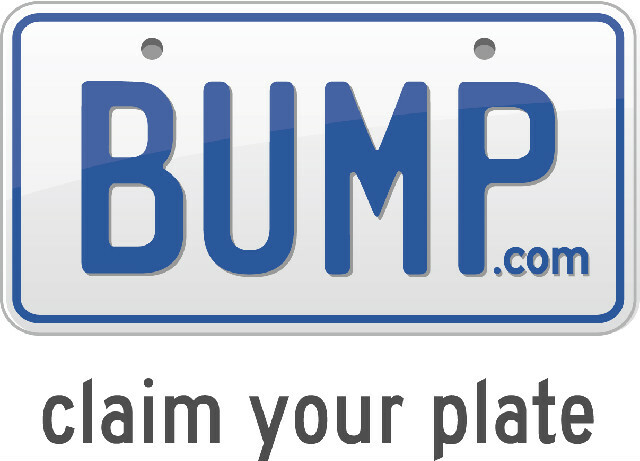 BUMP is trying to capitalize on the ubiquity of license plates & cell phones to create a social network & communication platform. I heard about the service in passing earlier today on a recent episode of Tech News Today, but didn’t pay it much mind. Then I stumbled across a Mashable post on my Twitter feed that mentioned the service & I figured I’d check it out. Naturally I signed up for it because it involves cars and it’s a new service, so I couldn’t resist. It only took a few minutes to claim my license plate & set up my user account. So far it seems pretty cool, though I haven’t gotten to really use it yet since nobody else I know is on there. Speaking of which, BUMP it still in invite-only beta, but guess what? Apparently I can send out invites, so if you want one shoot me an email & I’ll hook you up (for as many as BUMP lets me send out). Once you’re set up, stop by & “bump” me and perhaps throw your user URL in the comments below. You can find my BUMP account in the “Find Me Online” menu at the top of this page, which I just recently added.